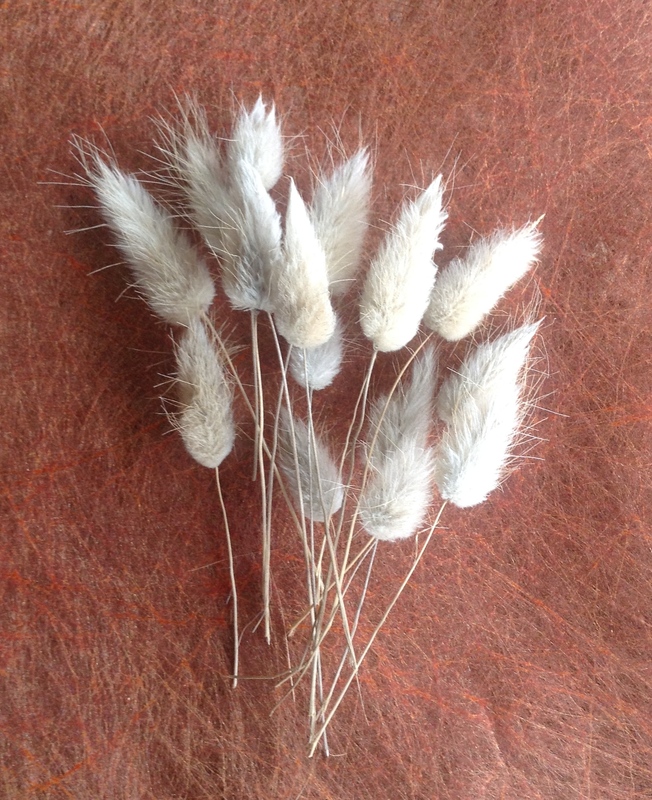 On Friday I finally got around to playing with the bunch of foxtail grass I picked on my east coast sojourn. I’m sure you can guess what I wanted to create with them for my Garden Fairy’s Wardrobe! 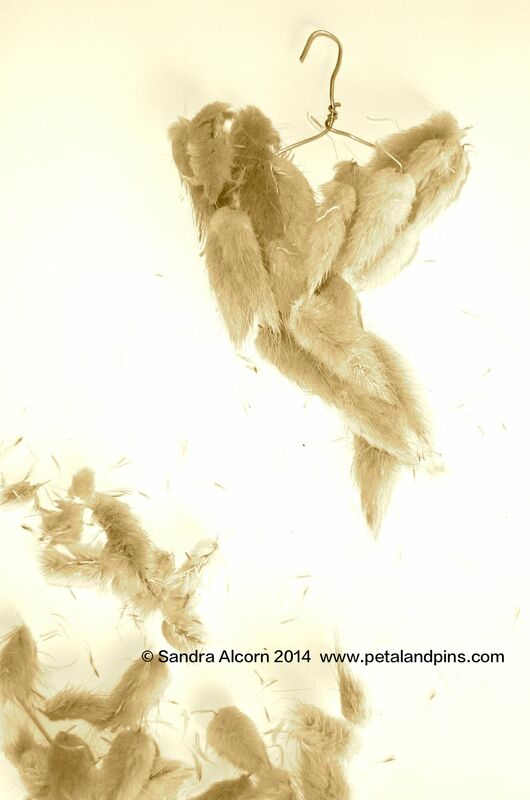 They were more difficult to work with than I had imagined as they kept moving each time I tried to place another. 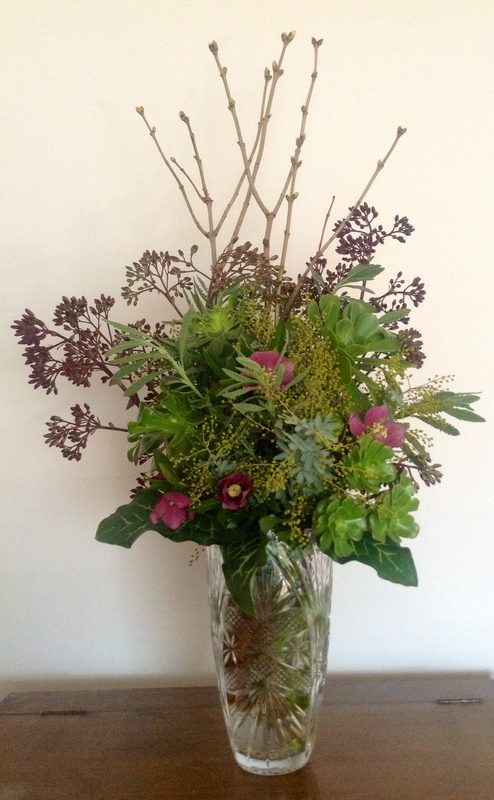 After mixed success I chose to do a bit of flower arranging instead. 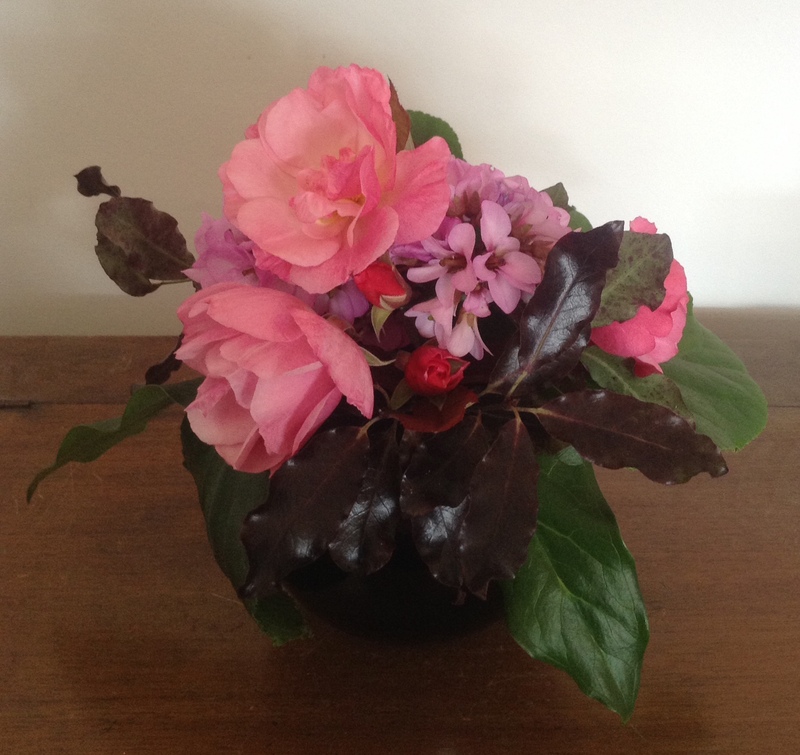 Cathy from Rambling in The Garden‘s ‘In a Vase on Monday’ meme has prompted me to take the time to do so more regularly. I find Seed Flora’s photos on Facebook inspiring – they are the team behind the spectacular David Jones Spring Flower Show which I posted about last Spring. 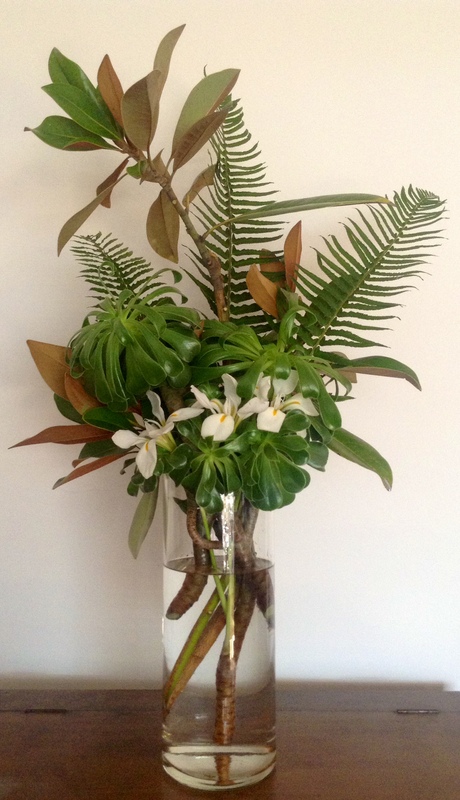 Their voluptuous and oversized arrangements with interesting and exotic mixes of foliage show you don’t need lots of flowers to create impact. But have a look at what they do with roses too it will make you swoon. This was my Fridays arrangement. 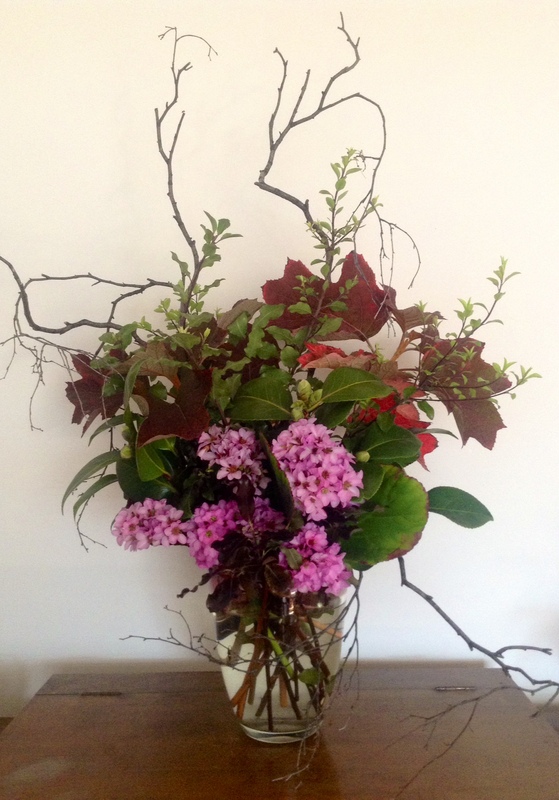 I have started keeping a few interesting shaped branches as they can come in handy when wanting to add some height. On Saturday we had friends coming for dinner so I decided to do 3 more arrangements and I was pleased with what I could pull together from the winter offerings of my garden. My Garden Fairy might need to wait for some alternative inspiration for a faux fur coat but she did get a stole and I think she would have been happy with that for her Winter Solstice celebrations. And I’m looking forward to the longer daylight hours the solstice brings. These are well done. I especially like the Fridays arrangement. Thanks! The oak leaf hydrangea leaves are quite beautiful at the moment with the red and burgundy colours.